Click here to view a pdf of the table of contents. John Day Tully is an associate professor of history at Central Connecticut State University and was the founding director of the Harvey Goldberg Program for Excellence in Teaching at the Ohio State University. 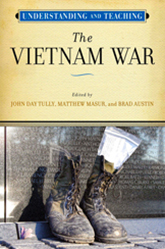 For more information and teaching resources, see Teaching the Vietnam War.